Whether it is home improvement industry, construction industry, or industry for decorative items; stainless steel is much desired by every company. The main reason for its popularity is that it is can be molded in any form. Thus, a lot of creativity can be expressed. The process of stainless steel fabrication is very popular among companies belonging to these industries. 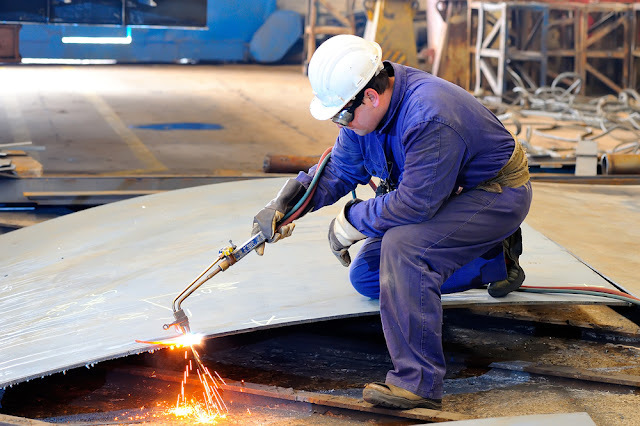 Fabrication of stainless steel is a process of cutting the metal and bending it in the required shapes or sizes. Fabrication can be done on any metal. But steel is highly preferred because of its attributes of being resistant to corrosion and stains. Steel is extremely durable metal and it offers smooth finish that gives an appealing look. Because of all these features, this metal is considered to be a cost effective option with minimal maintenance cost. Cable railing is popular at construction sites. Stainless steel railings help in making a construction sturdy. It does not get easily affected by rains, extreme heat or extreme cold. Therefore, most of the construction companies believing in quality prefer using cable railings. These railings can either be molded in tube shape or picket shape through stainless steel fabrication. Another major use of stainless steel fabrication is to create perforated sheets that are extensively seen in furniture for garden areas or in decorative pieces. Perforated sheets are also popular in industrial sector due to the beneficial properties of this metal. 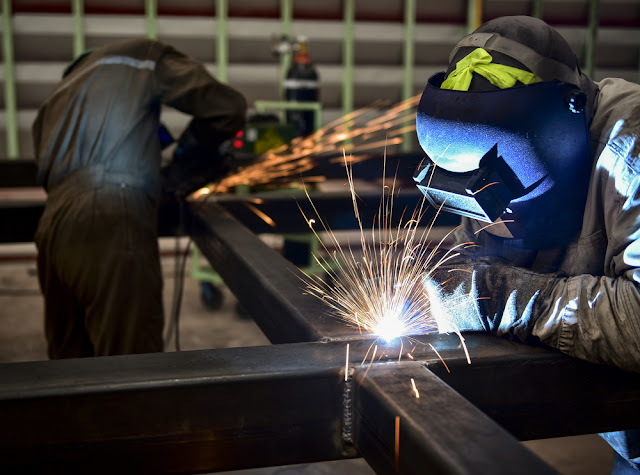 These stages are also included in one of the stages of steel fabrication. Stainless steel fabrication is not a complex procedure but it requires a systematic and discipline process to attain the desired results. Perforation is the first step of this process that needs to be followed by cutting, also known as slitting. There are special equipments used in order to follow this step correctly. Cutting of heavy steel is done through a machine named bench shears. This is operated through electricity. On the other hand lighter weighted sheets and thinner ones are cut through a tool resembling a scissor. The next step for stainless steel fabrication is punching. This is again done through a machine. Punching is done when hollowed product needs to be created. Once a rough shape is given to the metal, it is then sent forward for shaping. The desired shape and size is then given to the metal. This is the step where different processes are made use of. Processes like bending; folding etc. can be used depending on the product requirement. Crimping, stamping, seeming and grooving are few other processes which are also equally popular in fabrication of stainless steel. It is advisable to approach a professional stainless steel fabricator with good experience and skill to do the job. Stainless steel is extremely durable metal but even after using for many years this metal is eligible for recycling. This is the reason why business is considered to be the least risky business. If one can guarantee quality and creative of its products, stainless steel fabrication is very lucrative. This has led to availability of ample amount of fabricators in the market. Whenever you look for options for stainless steel fabricator, ensure to take a look at his experience in the market. Also enquire about the techniques and technologies used by the fabricator to create the products. Prefer one using the latest technologies at a cost effective rate. Never seal the deal just by talks. Always have a look at his sample work and go through the references provided by them. This will help to build trust in the provider.